FUSION Light and Design is a company that focuses on lighting commercial and residential spaces. We work with builders, architects, interior designers, and home owners to enhance each environment from one light fixture to an entire project. Our Passion and experience is lighting so let us help you find, specify, and purchase the right lighting package for you and your projects. Paradigm LED provides custom design and products to builders or home owners to improve their home lighting design. *Authorized Hinkley Lighting Dealer* For nearly 20 years Galleria Lighting & Design has been a leader in providing the newest and latest trends in the lighting industry. With our experienced hands on lighting specialists we are confident our team can help you find the products that give you the image and style to best fit your design needs. Galleria Lighting & Design offers a variety of choices from traditional to contemporary, rustic to urban, interior and exterior, and green lighting options all at competitive prices. Visit our showroom, centrally located in Denver, Colorado to see lighting options from over 200 manufacturers and to experience firsthand how our professional team can help you with all your lighting needs. USA Custom Lighting and Furniture Manufacturer. Custom handmade exclusive designs in glass, clay, metal, wood, and resin. Furniture- Reclaimed wood to modern hexagon tables. 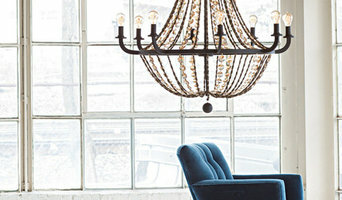 Lighting- Chandeliers, sconces, and pendants in hand blown glass, metal, and porcelain. Over a decade of experience in quality manufacturing. . If you are in need of an electrician in Denver, you can rest assured that you are going to get exactly what you need right here in one convenient location. As an electrical contractor in Denver, we guarantee that you are going to get the absolute best prices around the area. Even though you deserve quality workmanship, you also deserve to get the services provided at a price that you can afford. Lumenerea is a luxury lighting showroom founded in 2000. Lumenarea takes light - and your sense of style - to wondrous new places. Our unique lighting fixtures, furniture and accessories create elevated living and work spaces that shine with taste and soul. Our trained designers will come to you, so that we insure you get the very best design for your needs. After an on-site consultation, we meet in our beautiful showroom to make selections. There we will work with your blueprints and make recommendations. We then complete the order in a timely fashion to prevent holding up the project. Inlighten Studios exists to bring light into your life. We draw inspiration from our surroundings to capture the unique essence of Boulder: eclectic, elegant, evocative and beautiful. And our custom designs have been featured in publications across the nation, but stop into our showroom and you’ll understand why our passion precedes us. Our Staff consists of experienced and certified lighting designers equipped with the information and advice you need to bring just the right kind of light into your space. We know that you will find no comparison when it comes to knowledge, service, and satisfaction. At Imagine More our mission is to provide the finest in luxury home products at discount prices. 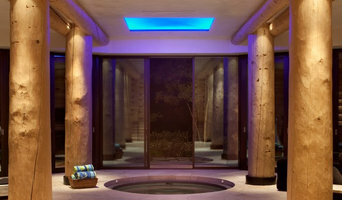 We provide custom Lighting, Home Audio, Theaters, Automation, Cabinets, and Window Coverings. We offer internet pricing but with the local services. Located in Longmont Greeley, and Windsor Colorado we serve all the northern Colorado regions including Loveland, Boulder, Estes Park, Greeley, Windsor, Longmont, Denver metro areas, as well as, Cheyenne and Laramie Wyoming. We have an experienced team of experts in the field of interior design, lighting, audio video, kitchens, and window treatments. Come in and meet with one of our designers to get a free consultation on your project. Noor Ltd. Exclusive hand-crafted lighting creations for lovers of authenticity, brilliance and form. Understanding the value of energy efficient lighting outside of specialized signage, our attentions shifted to address the rapidly growing demand to supply and support the residential and commercial LED lighting markets. For us, the bottom line is simple: energy conservation and environmental sustainability (whether for LEED certification or personal choice) is important. And understanding the plethora of LED lighting solutions can prove to be a daunting task - we know, we have been around this rapidly changing technology for some time! This led to an evolution within Polar Ray and we rapidly became a leading supplier of today's residential and commercial LED lighting technology. We realize that to maintain our position and more importantly our customer's trust, we must always be aware of the constantly developing technology. We visit our manufacturers, extensively test all products in real-world environments, and trust your opinion and feedback. We publish our experience and research in our online collection of reference materials (visit our learning center) and we readily answer emails and phone inquiries. We post all feedback to validate public opinion and assist in our product reviews. And we even understand that cost is not everything - but it is important. Therefore, we competitively price all products so that you enjoy immediate savings, not just long-term accumulated savings. We understand that whether this is your first or fiftieth experience with LED lights that everyone deserves a trusted learning environment accompanied by an excellent shipping and return policy. When all is said and done, we are proud of our service and are constantly seeking ways in which to exceed your expectations. Feel free to reach out to us, we would love to hear from you! Celebrating 15 years in business in May 2014, Outdoor Lighting Perspectives (OLP) of Colorado has an installed base of 1,500 systems in the Denver-metro area and along the front range from Fort Collins all the way south to Colorado Springs. Outdoor lighting (landscape and architectural) is our only business and we have become well-known for our stunning lighting designs that enhance both the architectural and landscaping features of a property. Think about how you plan to use each area of your Wheat Ridge, CO home. It's important to communicate to your Colorado lighting designer which space will be used as an office and which will be a media room, for example, as these will require very different lighting methods. In addition, consider how you'd prefer to control the lights. Lighting technology today includes dimmers, sensors, photocells (that let lights react to the amount of daylight in a space), programmable scene controls (that let you program different settings for varied lighting) and whole-house lighting controls (that let you control all or a portion of your home's lights from one source), allowing you to tailor your lighting controls however you wish. Find a lighting designer on Houzz. Narrow your search in the Professionals section of the website to Wheat Ridge, CO lighting designer. 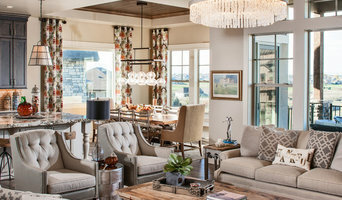 You can also look through Wheat Ridge, CO photos by style to find a lighting design you like, then contact the designer.